Made for ergonomics and loved for style by Boulder Furniture Arts. Rag-finished in Boulder with natural oil free of pigment/stain, polyurethane or lacquer for a velvet finish and easy touchup. Made in Ohio. 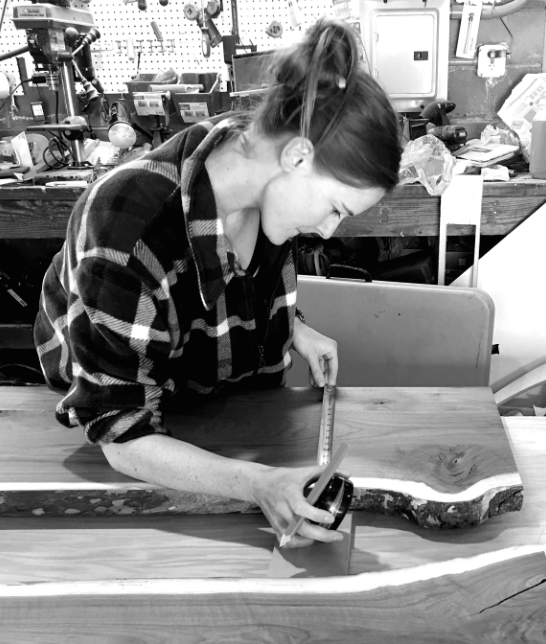 Finished in Boulder, CO.
Based in Boulder, CO, Boulder Furniture Arts makes it their mission to spark satisfaction – to create beautiful, utilitarian furniture by heeding nature’s signals, leading to the restoration of a more sustainable world.